I love simple side dishes like this, especially ones my husband will eat with so much enthusiasm! We love serving this side dish with roast chicken or grilled lean beef. Need another reason to love this recipe? It reheats well in the microwave. 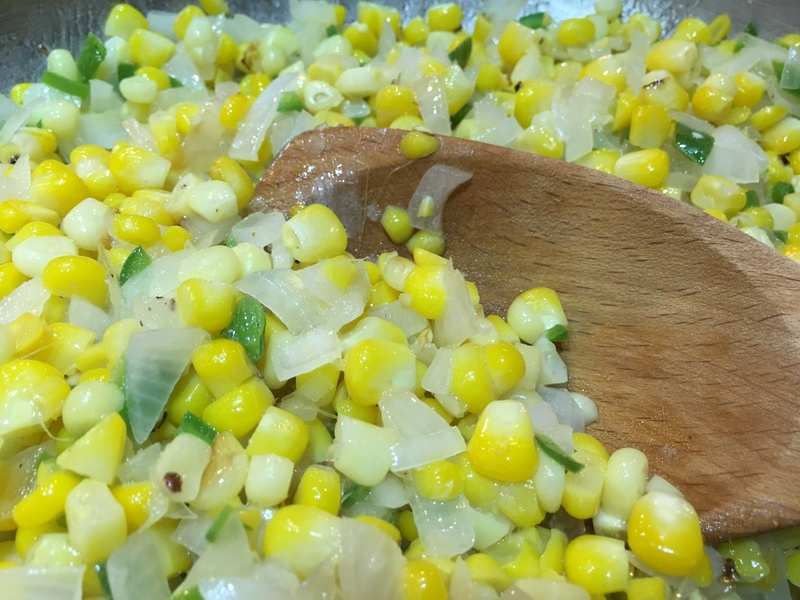 In a large sauté pan combine the butter, peppers, and onion. Sauté over medium heat for 2-3 minutes. Add the corn, pepper, and salt. Place a cover on the pan, and cook for 15 minutes, stirring occasionally. Serve immediately or hold covered over low heat until you’re ready to serve.